The renowned New York Guitar Show & Exposition, now in its sixth year, transforms the Freeport Recreation Center Saturday and Sunday into an endless smorgasbord of guitars of all shapes and sizes, amplifiers, workshops, related sound gear and equipment, and more. 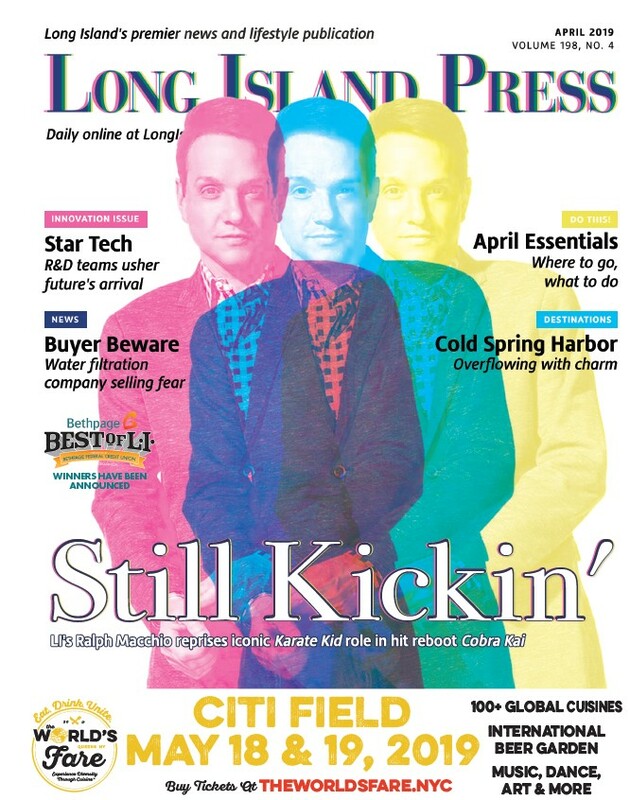 It’s also a multimedia networking celebration unrivaled in the region, melding together an eclectic mix of music industry movers and shakers, so-called “gear heads,” musicians, collectors, fans and consumers. The expo features 10,000 square feet of showcase space and an endless amount of guitar and music-related activities. Sponsors include Taylor Guitars, Homestead Amps, D’Addario & Co., Premier Guitar, and Gbase.com. More than 50 exhibitors from across the region and country will be on hand, ranging from the aforementioned to such guitar and music shops and guitar effects-related gurus as Agape Guitars, Dimo Guitars and Electro-Harmonix to Guitar Center, Michael’s Music and Roland Corp. “The Gibson Bus” will also be rolling into Freeport, with a ton of amazing Gibson guitars, gear and workshops for attendees to check out and participate in. The renowned Las Paul Exhibit is also back this year, featuring the guitar legend’s own personal guitars and giving attendees the opportunity to plug in and play—along with his amps, gizmos, gadgets and other inventions! There will be a “Private Amp Room” featuring sole sponsor of the expo’s amp room this year, Homestead Amps, with plenty of models for attendees to drool over and jam out on. Taylor Guitars will also be at this extraordinary six-string smorgasbord, giving away a guitar both days of the show, including a GS Mini Bass! Afterwards, attendees, as well as members of the public, will have the chance to rock out at an absolutely insane post-expo open mic and jam on Saturday, April 22 at EB Elliot’s in Freeport. (Contact 516-435-8382 for more information and to join in on making some noise.) This hands-on spectacular will be led by the Rich Johnson Band, with Long Island blues and guitar legend Jim Moran, Grammy Award-winning drummer Rick Shutter, and bassist Pete Puelo. The jam kicks off around 7 p.m., and rocks till about 10:30 p.m. It’s a chance for exhibitors—many of whom world-class players themselves—to unwind and let loose after a full day in their respective booths. The Sixth Annual New York Guitar Expo rocks the Freeport Recreation Center, located at 130 East Merrick Road, in Freeport, NY on April 22 & 23. For more information, call 516-435-8382, visit nyguitarexpo.com or contact: Rich@nyguitarexpo.com. On March 13th, Sarina Vito, an 18-year-old from Elwood, was preparing to spend a weekend away with her mother at her very first orientation as an incoming fall freshman at High Point University in North Carolina. Instead, the John Glenn High School senior’s entire world was flipped upside down by a devastating phone call: Sarina was diagnosed with acute myeloid (AML) leukemia—a cancer characterized by the production of a large number of abnormal white blood cells in the bone marrow. Sarina was immediately admitted into the Cohen Children’s Medical Center, where she will require a lifesaving bone marrow/stem cell transplant after her third round of chemotherapy. She will also have to undergo fertility treatments in order to be able to have children of her own. This Bone Marrow Registry Drive & Sarina’s Strands of Strength Ponytail Drive will include bone-marrow test swabbing provided by Be The Match Foundation, a bake sale, a raffle with prizes, vendor tables, music by Tony Bruno, and hair extensions by Cactus Salons. Among its proud supporters: Be The Match Foundation, Mondays at Racine, Hair We Share and Cactus Salon. The Sarina Strong Fund also has a GoFundMe Page collecting donations. Although Sarina will be missing many things that she worked very hard for, this event will help her and her family in many other ways. As the organizers of this benefit understand, no family should have to suffer the devastating emotional, mental and financial strains a disease such as AML leukemia causes them, especially not alone. Consider this post an open invitation for local businesses and members of the Long Island community to contribute and lend support by donating baskets, gift certificates, services, raffle prizes, food and/or refreshments, become a sponsor with monetary donations, or simply help spread the word—that’s why a special hashtag #SarinaStrong has been created to help raise awareness across social media; spread it far and wide! Sarina and her family thank you in advance: Together, we can do this! The #SarinaStrong Bone Marrow Registry Drive & Sarina’s Strands of Strength Ponytail Drive takes place Tuesday, April 25, 2017, from 4 p.m. to 8:30 p.m. at Elwood-John H. Glenn High School, located at 478 Elwood Rd., in Elwood, NY 11731. Donations can be dropped off at any Cactus Salon or picked up by one of the committee members on or before April 22, 2017. To mail donations, please send to: #SarinaStrong C/O Cactus Group Holdings, 100 E. Jeffryn Blvd., Suite H, Deer Park, NY 11729. Attn: Karen Vito Please email sarinastrong@gmail.com for additional information. Fueled by two brothers sharing a penchant for messy power chords and infectious melodies, English rockers The Kinks’ explosive, raw style and catchy tunes embody the spirit and dirty, jagged riffs that would inspire punk and heavy metal and revolutionize rock and roll. Formed in 1964, with a foundation in late ’50s R&B, brothers Ray and Dave Davies, Pete Quaife and Mick Avory branded their own form of traditional rock by tossing out the rule books and simply having fun. In turn, they influenced generations of bands and musicians and helped spawn the raw, visceral sounds of such musical deviants as the Ramones and Clash, Van Halen, Blur, Oasis, Green Day, Nirvana, and countless others. Their 1964 chart-topping single “You Really Got Me”—immediately recognizable by its quick succession of dissonant, choppy chords—led the charge. Described as “a love song for street kids” by the tune’s architect, The Kinks’ lead guitarist Dave Davies, the song dismantled the myth that only seasoned, well-trained musicians could achieve stardom and radio play, and went on to inspire legions throughout the decades to pick up a guitar and launch their own sonic revolutions—its simple structure and rough sound serving as the blueprint. It was aided by Davies’ slashing the amp cone with a razor blade. The Kinks became infamous components of the late wave of the British Invasion and recorded more than two dozen albums since their formation—at the center of it all resides the imaginative guitar work and craftsmanship of Dave Davies, who will be ripping through an unforgettable set of Kinks classics as well as his own solo efforts at Suffolk Theater in Riverhead on Saturday, April 22. In 2003, Dave Davies was ranked 91st in Rolling Stone magazine’s list of the “100 Greatest Guitarists of All Time,” and for damn good reason. Do not miss out on this phenomenal chance to experience this Rock and Roll Hall of Famer and the supreme glory that is The Kinks in this extraordinary and intimate venue! Repeat: Don’t miss this gig! Dave Davies, lead guitarist for the legendary band The Kinks will be destroying Suffolk Theater, located at 118 East Main Street in Riverhead, on Saturday, April 22. Tickets are $49, $60 & $65. For more information about this amazing show and to purchase tickets, visit suffolktheater.com! The Harlem Globetrotterrs's star player, Flight Time, makes a trick shot from the roof of Nassau Coliseum. The Harlem Globetrotters just couldn’t wait to show off their tricks at the newly renovated Nassau Veterans Memorial Coliseum. One of the team’s star players, Herbert “Flight Time” Lang, made a shot from 75 feet up on the Uniondale arena’s roof tossing it over its new metallic façade—then did it again backwards. Swoosh! There was nothing but net. “This is the long distance shot from Long Island,” the bedazzling b-ball-handler extraordinaire said while showboating in a video of the back-to-back trick shots that the team posted Tuesday on YouTube. Fans of NBC’s The Amazing Race may recognize Flight Time from seasons 15, 18 and 24 of the reality show competition. He came in second place—just short of wining the $1 million prize—his second time around. This weekend marks the first time the Harlem Globetrotters will play Nassau Coliseum since December 2014, before it closed for extensive renovations. The arena reopened last week. Melding pure, unrefined passion, joy, unquantifiable heartbreak and unimaginable loss into transcendental musical tapestries that amaze and inspire is just one characteristic of the blues. Another is the extraordinary ability among true blues players to somehow translate all of this, while adding their own personalities via unforgettable notes, into licks and chords that tug at your heartstrings and simply do not let go, conjuring a whirlwind of visions and memories and that unidentifiable something that resides deep, deep within your very being and immediately transforming this all into raw and visceral emotions as varied and colorful as a collapsing rainbow, the hot amplifier an electric, aural prism. The torturous beauty of the blues also possesses that magical ability to soothe the soul, erasing pain and worry, and like some melodic magnet, draw those feet out from beneath listeners’ tables or seats, and out onto the floor of the gig’s venue, to express themselves in the only ways they truly know how—tapping and kicking and leaping and dancing along. Jorma Kaukonen is a blues-folk-rock master, and his guitar might as well be his second mouth, because the blizzard of tones and notes and colors that jump from those frets, traveling through its cable and materialize like lightning out of his amp to explode across our synapses speak in some universal tongue that resonates with all who hear them. Whether it’s the eternal sonic tattoos he’s etched with Hot Tuna, Jefferson Airplane, or his own legendary works, the man is a virtuoso, and his gig at The Space at Westbury on April 13 is not just a must-attend show due to all the aforementioned, it’s also a not-to-be-missed show because of its additionally extraordinary purpose. This intimate evening with such a phenomenal blues-folk-rock guitar god will benefit nonprofit Long Island Autism Communities! Besides the mind-bending music, there will be live auctions featuring autographed items donated by Jorma Kaukonen himself—including an autographed guitar and weekend at his family’s renowned Fur Peach Ranch! Kaukonen will also be sharing personal stories from his legendary career! This exclusive event combining the blues and a fantastic cause exemplifies the true spirit of music, and in utilizing his many gifts to help so many others, this true legend elevates the art form and helps spread its very essence and meaning. Come and enjoy the tunes and lend your support to this all-important cause! U.S. Rep. Kathleen Rice (D-Garden City) (far left) and Nassau Legis. Rose Walker (R-Hicksville) (far right) join staff and patients of Gastroenterology Associates and the Long Island Center for Digestive Health (LICDH) during its grand opening and ribbon-cutting ceremony at its new Uniondale headquarters on March 6, 2017 to help stress the importance of colorectal cancer screenings during National Colon Cancer Awareness Month. U.S. Rep. Kathleen Rice and Nassau County Legis. Rose Walker joined doctors, staff, and patients of Gastroenterology Associates, one of the largest gastroenterology practices on Long Island, in helping raise awareness about colorectal cancer at the grand opening of its recently relocated offices and outpatient facility, the Long Island Center for Digestive Health, in Uniondale. March is National Colon Cancer Awareness Month, and the March 6 educational event and ribbon-cutting highlighted the importance of colon cancer aka colorectal cancer screening in the battle against this highly preventable disease, which claims more than 50,000 lives each year and remains the third-most common cancer in the United States and second-leading cause of cancer death. Several patients of Gastroenterology Associates and the Long Island Center for Digestive Health shared their personal stories of survival, with each advocating for screening. Both Legis. Walker and Rep. Rice spoke briefly as well. “I was honored an proud to attend the ribbon cutting for Gastroenterology Associates’ new headquarters—a beautiful, spacious facility with a kind, caring staff who goes out of their way to make their patients comfortable,” Legis. Walker told the Press about the experience, explaining that for her, raising awareness about colorectal cancer is personal. “It is always a pleasure to attend all the ribbon cuttings and events I am invited to, but some have a special significance. “I’m grateful to Dr. [Leonard B.] Stein and Dr. [Robert S.] Bartolomeo for inviting me to tour their new facility as we commemorate Colorectal Cancer Awareness Month and highlight the dangers of this disease and the potentially life-saving value of regular screenings,” Rep. Rice told the Press regarding the event. “We know that colorectal cancer is the second-leading cause of cancer among men and women combined–this year alone, more than 135,000 people will be diagnosed and more than 50,000 will die from it,” she continued. “We also know that this is one of the most highly preventable forms of cancer–the CDC estimates that we could prevent 60 percent of all colorectal cancer deaths if all adults over age 50 were regularly screened, but just one-in-three adults between age 50 and 75 are up to date on recommended screenings. “That has to change,” she added. Congresswoman Rice, the U.S. Representative for New York’s 4th congressional district, has long been a proponent of increasing accessibility and affordability to these life-saving preventive screenings. She is currently a cosponsor of bipartisan legislation, titled the “Removing Barriers to Colorectal Screening Act of 2017,” which would direct Medicare not to charge co-pays for colon cancer screenings that result in the discovery and removal of polyps. Currently, under the Affordable Care Act, Medicare and private insurers aren’t supposed to charge for co-pays for such screenings, including colonoscopies, explains her office. If a patient undergoes a screening and a polyp is detected and removed, however, the procedure gets reclassified as “Therapeutic” and not simply a screening, and they can be charged a co-pay. This bill would eliminate that possibility, ensuring that patients can’t be charged for these important screenings, whether a polyp is found and extracted or not. Rice, a Democrat who was elected to Congress in 2014 and previously served three terms as Nassau County District Attorney where she received national acclaim for her efforts combatting drunk driving, also cosponsored this bill in the last congressional session, and also cosponsored a resolution designating March 2017 as National Colorectal Cancer Awareness Month in both sessions. Health experts advocate for regular colorectal cancer screenings for those 50 and over, stressing such preventive procedures can identify polyps before they become cancerous—though some are discouraged when there’s a chance its result could cost money, explains Rice’s office. Thus, these legislative initiatives would remove dissuading financial barriers and actually help save lives. Gastroenterology Associates is a renowned private group gastroenterology practice in Uniondale, NY specializing in high-quality digestive healthcare for patients experiencing a wide range of disorders. Long Island Center for Digestive Health (LICDH) is a distinguished non-hospital outpatient facility providing advanced diagnostic testing and procedures including upper endoscopy, colonoscopy, and more. Gastroenterology Associates’ new headquarters in Uniondale boasts ground-floor access for patients, plentiful parking, and is conveniently situated near Meadowbrook Parkway, Stewart Avenue and Hempstead Turnpike. LICDH, which shares the premises, is a New York State-licensed ambulatory endoscopy center that has been awarded a Certificate of Recognition from the American Society of Gastrointestinal Endoscopy and is accredited by the Accreditation Association for Ambulatory Health Care. This is the second consecutive year Rep. Rice has joined Gastroenterology Associates and LICDH’s staff in publicly raising awareness during Colorectal Awareness Month about the preventable disease and the significance of screening—and she vows to continue this all-important quest in Congress. “We need to keep raising awareness and educating the public, like we did [at Gastroenterology Associates] and will continue doing all month,” Congresswoman Rice told the Press. “And we need to make screenings more affordable so that no one can be denied or discouraged from getting a procedure that could save their life. “I’ve cosponsored bipartisan legislation that would help eliminate copays for colon cancer screenings, and I’m going to keep working to get it passed,” she added. Legis. Walker, a Republican, further emphasized the value of colorectal cancer screening and raising awareness, explaining it could quite literally mean the difference between life and death. Featured Photo: U.S. Rep. Kathleen Rice (D-Garden City) (far left) and Nassau Legis. Rose Walker (R-Hicksville) (far right) join staff and patients of Gastroenterology Associates and the Long Island Center for Digestive Health (LICDH) during its grand opening and ribbon-cutting ceremony at its new Uniondale headquarters on March 6, 2017 to help stress the importance of colorectal cancer screenings during National Colon Cancer Awareness Month. Gastroenterology Associates is located at 106 Charles Lindbergh Blvd., Suite B, Mitchel Field, in Uniondale, NY 11553. Long Island Center for Digestive Health shares the premises, and is located in Suite C. To talk with staff or schedule an appointment, call 516-248-3737 or 516-794-1868, respectively, or visit ligastrohealth.com. 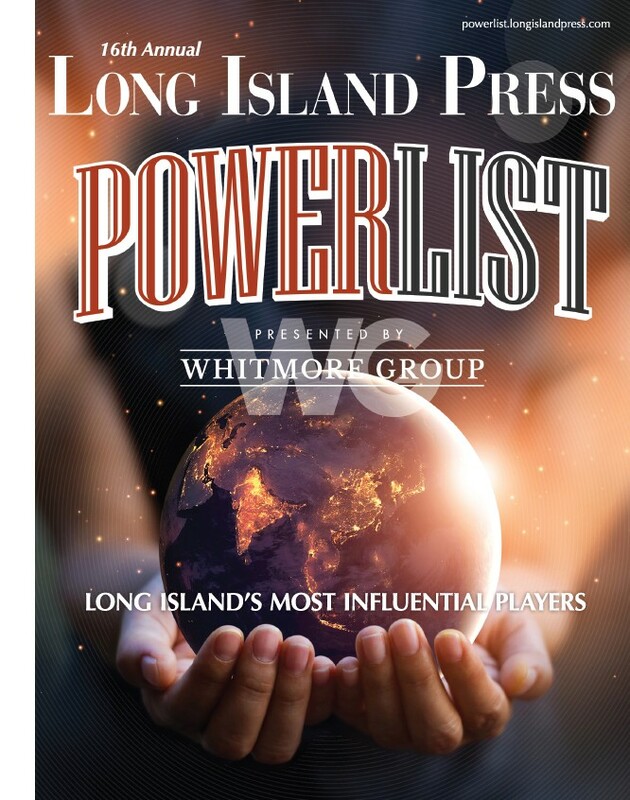 Gastroenterology Associates is a client of Morey Publishing, the parent company of the Long Island Press. Long Island could get buried in 12 to 18 inches of snow Monday evening throughout Tuesday, according to forecasters. The National Weather Service in Upton has issued a Blizzard Watch for Long Island, New York City, and other parts of the region in effect from late Monday night through Tuesday evening. The forecast predicts heavy snow, strong, gusty winds and temperatures in the 20s. Snow accumulations could amount to 12 to 18 inches, according to the agency, with wind gusts clocking in at 40 to 50 mph. The National Weather Service warns of “hazardous travel and potential for power outages,” as well as low visibility. For more than three decades these sonic hellraisers hailing from Oklahoma have been re-writing the rules of rock and roll, melding the realms of music, science fiction and experimentation into the most beautifully bizarre and involuntarily contagious expressions of love and chaos created by earthlings, and continue to be one of the most exciting, electrifying, and magnetic bands in existence. Led by founding members and martian rock masterminds Wayne Coyne on vocals and guitar, bassist Michael Ivins and multi-instrumentalist Steven Drozd, the Flaming Lips are as known for their extraordinary live performances as much as their Grammy Award-winning tunes. A Lips show, as any attendee who has ever witnessed one can attest, is anything but ordinary. Giant costumed creatures, smoke, puppets, enigmatic video projections, balloons, copious amounts of confetti, mushrooms, rainbows, gigantic hands that shoot lasers—even a monstrous, translucent man-sized bubble, which Coyne navigates atop the audience—the Flaming Lips literally and figuratively transcend any singular art form and instead transport fans into their own unique world, one beyond comparison and free of labels, stereotypes, or really, any other “concert” experience. Coyne and Drozd’s songwriting might as well be an interdimensional black hole, in that past one layer is an infinite amount of others, all embodying various possibilities explored and shared with audience members via this multi-sensory tapestry of theatrical amplified paint. At the center is an exploding universe of love. Touring in support of their latest foray into the unconventional, this year’s Oczy Mlody (Polish for “Eyes (of the) Young,” the Lips’ 14th studio drop, the band have a vast sea of releases to draw from—with the melodies, time signatures, arrangements and songs as diverse as their album and song titles. Their first, 1986’s noisy, punkish Hear It Is, includes tracks “Jesus Shootin’ Heroin,” Charlie Manson Blues” and “Godzilla Flick.” 1993’s Transmissions from the Satellite Heart contains perhaps the band’s most well-known single, as well as its biggest radio hit, “She Don’t Use Jelly.” 1997’s experimental Zaireeka features eight songs across four CDs, which ideally are to be played simultaneously on separate audio systems to create its intended harmonics. 1999’s The Soft Bulletin and 2002’s Yoshimi Battles the Pink Robots both achieved critical and commercial success and remain fan favorites. All that being said, pretty much every single Flaming Lips tune is an amazing, otherworldly entity onto themselves, across various, multi-tiered levels, and in the intimate confines of The Space at Westbury, they and all the aforementioned elements of this mind-bending band combine to create a rock and roll experience guaranteed to be absolutely unforgettable and unquestionably one for the books of epic Long Island concerts. Do not miss this gig. Repeat: Do Not Miss This Gig!! Long Island boasts some of the most gorgeous (and most expensive) homes and real estate in the country, and this weekend is loaded with open houses throughout Nassau and Suffolk counties for prospective buyers to check it all out with a tour. You don’t have to be a multimillionaire, or even necessarily in the market for a new home, to ooh and ahh at these luxurious mansions and estates, however. Open houses enable anyone, no matter their budget or present zip code, to peruse these dream homes—and this list enables you to do so from the comfort of your laptop! Below are five insanely breathtaking (multi-million dollar) homesteads hosting open houses this weekend, along with their corresponding listing summaries, according to real estate records on MLSLI.com. Hey, everyone can dream, right! Enjoy the tour! Saturday, 3/4 Noon – 2 p.m.
Sunday, 3/5 10:30 a.m. – 12:30 p.m. This 10,000 Sf. European-Inspired Stone Masterpiece Stands Tall On 1.3 Flat Acres. Soaring Entry Leads Directly To Spectacular Waterviews Of Manhattan Skyline. State-Of-The-Art Kit, Den, Library, Cabana W/Br, 2 Mstr Brs. French Architect Philippe Starck Inspired. Whole House Generator. Complete Reno 2016. Saturday, 3/4 12:30 a.m. – 2 p.m.
Sunday, 3/5 2 p.m. – 3:30 p.m.
Sunday, 3/5 Noon – 2 p.m. Magnificent 12,000 Sq Ft Mansion On The Former Estate Of Ny Mayor Matthias Nicoll. The Approach To The Home Features An Impressive Gated Entrance, Long Winding Driveway And Beautifully Landscaped Property. Sunday, 3/5 1:30 p.m. – 3 p.m.